The DC Extended Universe has had a rough go of things, to put it mildly, since it first started to expand with the strongly divisive Batman v Superman: Dawn of Justice. A Suicide Squad and a Justice League later, public perception of the shared universe was beginning to demand a course correction. 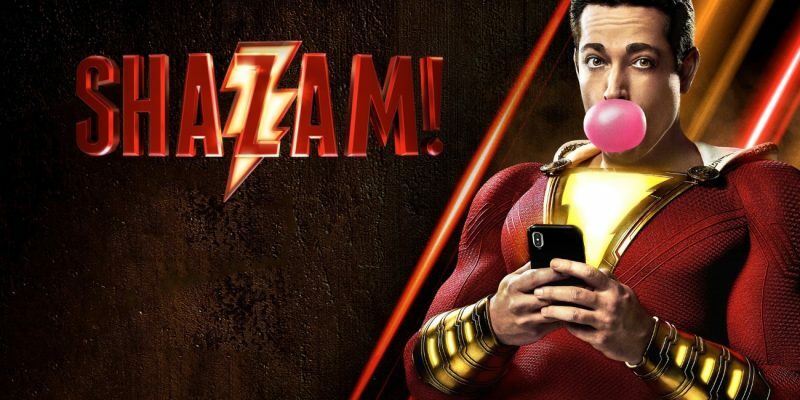 Warner Bros. did indeed take notice, and after Wonder Woman and Aquaman, their DC comics film franchises are off in a new direction with new heroes and stars, but the studio’s most risky new franchise to date is about to take flight in Shazam. The studio’s current hot streak is only going to get hotter with this release, another incredibly fun moviegoing experience adding to their growing roster of characters. Shazam has a childlike glee from start to finish that it exudes from each and every cast member from top to bottom. The film does a great job capturing that wide-eyed innocence of the Donner-era Superman mixed with the John Hughes tilt that Spider-Man: Homecoming used to great affect. 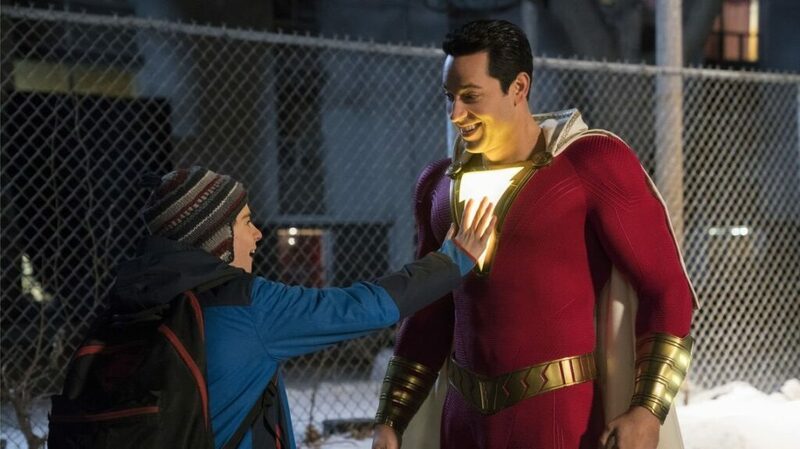 The scenes involving young Freddie (Jack Dylan Grazer) and Shazam are a glorious testament to how much fun can be had with these characters and begs for more to be explored. The film wouldn’t work though without the near-perfect Zachary Levi following the lead set by Jason Momoa and Gal Gadot as they wonderfully brought their respective characters to life in their own franchises, instantly intertwining themselves with their superhero characters in the hearts of audiences and fans. Levi’s performance is so endearing and likable that I can’t wait to see him continue on in the role, and pray we get to see his youthful exuberance interact with any of the other DC heroes onscreen. The child actors in the film are also home runs, with the aforementioned Asher Angel doing a commendable job as Billy. But the real scene stealers of Shazam are the rest of his adopted family, whom comic book fans know share in Billy’s adventures. Grazer as Freddie and Faithe Herman as Darla get the most consistent laughs and high moments. Mark Strong gets another shot at DC supervillainy after providing one of the few redeemable parts of Green Lantern as Sinestro. This time around Strong plays Shazam arch-enemy Dr. Sivana, a powerful man with ties to the origin of Billy’s powers whom also has the very embodiment of the Seven Deadly Sins at his disposal. The character actor shows more energy than he usually brings to his villainous roles, seemingly having a good time like the rest of the cast. Unfortunately many of his portions of the film are where Shazam loses its focus. Since the film is an origin story, it suffers from some noticeable tonal issues and growing pains much like the recent Captain Marvel. Shazam is so full of laughs and a big heart that if feels like one of the most fun family superhero films of all time… until it isn’t. Scenes with the aforementioned Dr. Sivana teeter on straightforward horror and both the onscreen and implied violence throughout the movie feels out of place when placed next the innocence of the rest of the film. In addition to those dark, sometimes scary moments, the characters swear far too often for a film that feels so pure of heart. I have zero issues with adult language in films and certainly don’t mind one or two slipping into a more family friendly movie, but Shazam uses more adult dialogue than the rest of the DCEU films combined: and usually for a cheap comedic laugh. It’s a minor complaint to be sure, but added issues to an occasionally unsure of itself film. The film’s final act has a few great surprises that are essentially just the icing on the cake of a classically fun superhero adventure and there’s more in store if you stay through the end credits. Despite a weird balance of adult themes and occasional horror visuals, Shazam is a pure of heart, instant classic that adds a terrific new success story to the growing arsenal of the DCEU.